James T. Markey Home Remodeling specializes in double hung custom windows for Warren, NJ homes and businesses. One of the most effective ways to save energy cost is by installing new replacement windows. The nights in New Jersey can get cold so finding a competent, professional window installer is critical before the winter months arrive. New custom windows dramatically improve the appearance and appeal of your home both inside and outside, while providing greater comfort and security through the cold winter months. New replacement windows also help during warm summers as they dramatically keep precious air conditioned rooms cooler. 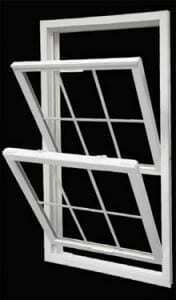 If your old, drafty windows need replacing or if you simply want to improve the overall appearance of your home new replacement windows are the smart energy efficient option.